Recently I have been involved in managing change for several transitions to Activity Based Working (ABW). Anyone working within the NSW public service will be aware of the current shift to ABW working environments as many new and existing sites are transformed to this modern way of working. Firstly, my expertise lies in change management, understanding human workplace behaviour and supporting impacted staff to thrive through the change process. I do not profess to be an expert in ABW methodology or design. However, having been involved in numerous large scale relocations and service delivery redesigns, ABW transitions presented as the next logical step. ABW is a methodology for designing office based workplaces according to different ‘types’ of work undertaken – i.e. collaborative team work spaces, individual focus areas and quiet spaces, closed meeting areas, open meeting areas and touch down areas. It generally operates on an occupancy of 120%, whereby there is an expectation that approximately 20% will be away from the office at any one time. The defining factor in terms of the ‘people change’ element of ABW is that individuals no longer own a desk. They are expected to seat themselves according to what type of work they are undertaking. What’s the difference between Agile working and ABW? The short answer is, it depends who you ask. Agile working and ABW can be used relatively interchangeably in layman’s terms, however it is best for an organisation to decide which term they will use and stick to it to avoid confusion. 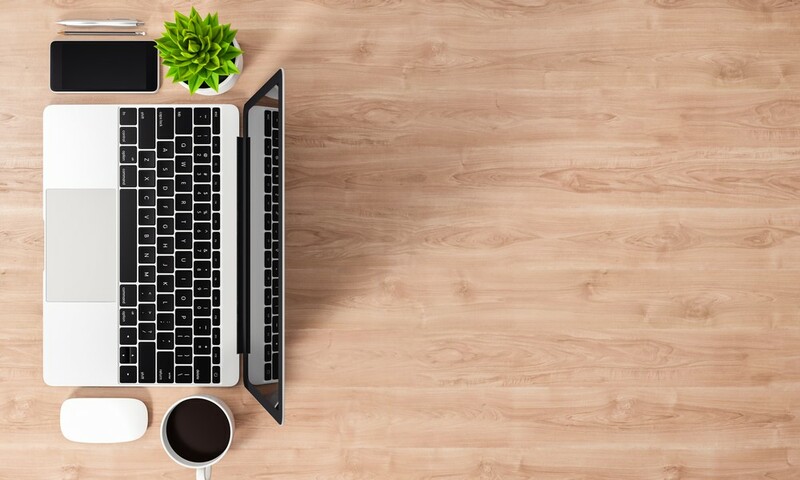 In some literature, Agile working refers to ‘hot desking’ within and across worksites whereas ABW includes the element of specially designed spaces to meet certain needs. What is a traditional fitout? 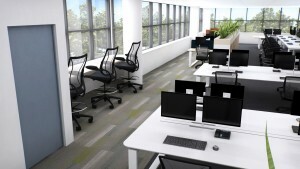 Traditional fitout refers to standard open plan workspaces with assigned, partitioned desks, offices and meeting rooms. What is an ABW fitout? Below is an example of an ABW fitout: You can see quiet focus desks behind the plants, standard collaborative work areas at the large tables and touch down points next to the window. As I mentioned, the change process to ABW applies the same principles as any other business transformation. The staples of staff engagement, communication and consultation are key, along with essential workplace orientation and technology training in line with implementation. If it’s possible, I recommend consulting prior to designing the new ABW workspace. Have a set of guiding principles that you will deliver within: for instance, there will be no private offices, there will be no desktop computers, only two printers per floor, small standard allocation for file storage – these are just examples of standard principles that can be applied. This way you establish from the beginning what is negotiable and what is not. If employees require specialist equipment, then you need to incorporate this into the design – e.g. large workbenches for rolling out plans, ancient stand alone PCs that run prehistoric software, secure storage for expensive electronic equipment and various other quirks found in workplaces. Engaging early with managers and staff working groups will help to establish this information up front. You can then extend those working groups to represent their teams up to implementation and beyond. It is also essential to tackle paper usage and storage. Most ABW environments have minimal storage, so help the business to consider what processes they can adapt to decrease paper usage, scan or archive existing records and standardise electronic storage processes. In my experience, this piece of work is often underestimated. For people who have not worked in ABW sites before, it is difficult to picture how it will work. Where possible, take leadership teams and nominated stakeholder groups on tours to visit other ABW environments. If you cannot access ABW sites then use animations and pictures to illustrate the shift. Once completed, your floorplate designs can also be very helpful in explaining how the environment will look. Whether your IT is delivered in house or via a contract, it is essential to ensure that IT are part of the project team and are involved in staff consultations. ABW relies on a number of new technologies including, at a basic level, laptops and wifi and, at the high end, complex video conferencing hardware, wireless connectivity to multiple screens in the workplace and ‘find me’ technology solutions. Managing expectations is essential here. Manage your message around ‘what will be available on day one’ and then present a longer-term picture for other technologies to be implemented. I have never seen AV and technology solutions delivered on time in a new ABW environment – so rather than trying to exert control that you don’t have, ‘under promise and over deliver’ is a good rule of thumb regarding technology implementation. People need to be equipped to work in an ABW environment. Do they know how to use the room booking system? Is their new laptop on a different operating system to their old desktop? If possible, introduce some technologies prior to the move. For instance, if you are issuing new laptops, do this before the move and provide training (either eLearning or classroom) early on, so as people have an opportunity to get used to as much new hardware as possible in their old environment. This softens the change process and makes it feel more gradual and seamless. As with any change program, employees want to hear what their managers have to say and these messages hold significantly more influence than those of the project team. Engage the leadership team early, establish the key messages that need to be communicated and bring them out at every opportunity to deliver those messages. The leadership team may need to have some robust discussion as to their own feelings about ABW prior to talking to their people. With ABW, there are no half measures. If only half the population follows the ABW principles, then the concept cannot work: there won’t be enough desks, people will find themselves sitting at dirty workstations and there will be friction amongst teams. Applying straightforward change management principles to ABW transformations will pave the way for a far smoother transition. So: engage, consult, communicate and train – these simple principles will carry you a long way.